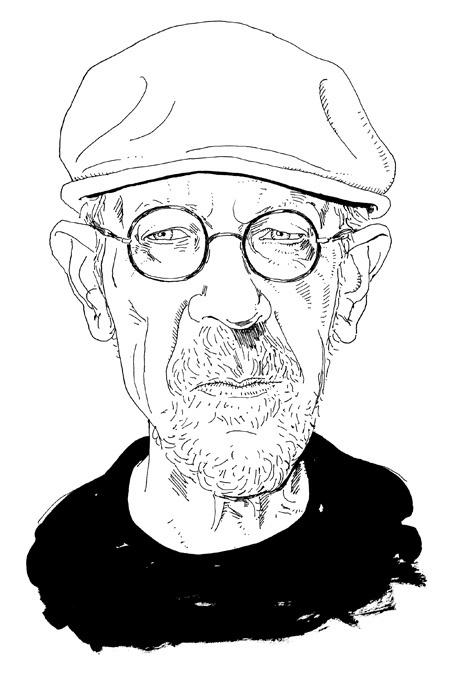 ELMORE LEONARD'S 10 RULES OF WRITING was recently published by Harper Collins. Leonard is considered one of the greatest crime novelists working today and a master of dialogue. Many films have been made from his stories including GET SHORTY, JACKIE BROWN, OUT OF SIGHT and 3:10 TO YUMA. I was fortunate to have the opportunity to meet Elmore (now 82) and work with him and his researcher Gregg on this project. Joe, real nice drawing, do I detect a resemblance to a certain Rob Saunders? Beautiful drawing, Joe. I'd love to see some more; I guess I'll go out and get the book today! Great drawing, Joe. I might have to get your autograph on a copy. Thanks all. I tried to post a few more images, but had some difficulty (typical for me). I may add some if I get it sorted out. Mark - you're right, I hadn't noticed the Saunders resemblance. Must be subconscious. I don't need to tell you again how much I love your work and they way you handle line....but I am going to anyway. I love your work and the way you handle your line. Yet another book to purchase for my collection! Wow, what a cool project, Joe! Put up a few more images!! What a cool project, Joe�congratulations! Beautiful drawing, as always. Post a few more from the book! Great project, Joe. Very classy cover, with your prominent credit. How many illustrations are there inside? Thanks Cathleen. There are 11 b/w drawings plus 2 color spreads. Very minimal text. It's a small 5 x 7.5 gift book. I'll try to post a few more. Joe, what a great project. I've read every word Elmore has written to date and never get tired. Could say the same about your incredible drawings. Can't wait to pick this one up. Congrats again Joe. 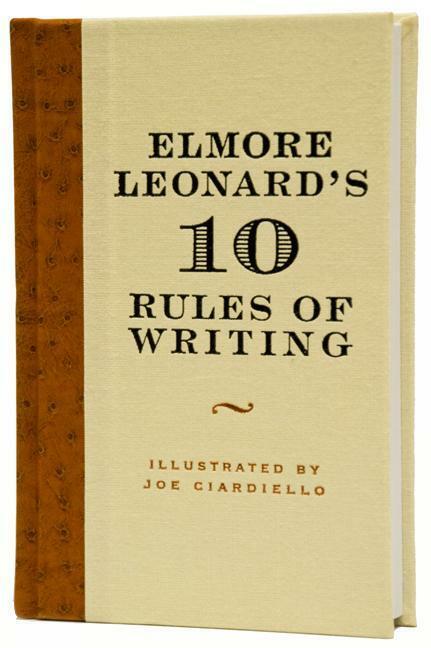 In a just and perfect world your next book will be titled: JOE CIARDIELLO'S 10 RULES OF ILLLUSTRATION, and just below that, in slightly smaller print, it'll read: text by Elmore Leonard. jc ps '.and hot damn, the paper stock in this thing is thick enough to snowboard on. 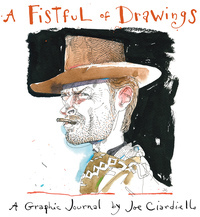 Joe, looks like a great project, your drawings are a perfect fit to Leonard's writing. We want to see more! Joe... I've been a big reader of Elmore Leonard for quite a long time. I know this list, which he has published in short form on his site. It's been pinned to my wall forever, it seems. Even though I've been looking forward to this book, I wasn't aware that your masterful art (which I love) would be enhancing it! So, it's in my Amazon cart and will be in my depraved crime-loving hands in a very short while. Congratz on a great assignment, and I'm sure, a great result, Joe... can't wait to see it! How come I can't see the drawing? I only see a broken document icon, or a question mark in Safari. Feeling left out. Sorry Nancy. Elmore's portrait is back up. In my unsuccessful attempt to post additional images, I accidentally deleted it. Wow Joe, that's great....I want a copy! Joe: Dream project/ gorgeous portrait. You draw, see, feel, think . . .with each line. Congrats Joe. I know what I want in my drawger stocking @ holiday time. O.K.? hint hint.... What a great project. Fantastic, Joe! I was able to get a peek at some of the inside illustrations from the Amazon link. His first chapter is entitled: "Never Open a Book with Weather" and at first I thought he meant, ya know, don't open a book if it's raining or snowing, because the pages will get wet. Other than a tiny gripe with that misleading first chapter, I love it! p.s. great credit! Wow, I ordered the book when I saw this post and Amazon delivery just came. It's really a beautiful book! A wonderful collaboration between two great artists. Every drawing a gem. Now I'm ordering more for gifts. Thanks Laura and Paul. Most of the Amazon reviews so far are pretty dreadful... missing the whole point of a gift book. Many not even noticing that it's illustrated... oh well.